The ability to bridge the gender communication gap comes when both sexes understand that men and women have different communication styles that are based on social conditioning and that there is no ill will or malice intended. The insights into the gender communication gap between men and women shown by Joanna Krotz in the “Mr. + Ms. Talk” article she wrote for Microsoft are right on target. I can’t say any of this any better than she does, so credit for this web page minimizing the gender communication gap is entirely hers. Pay particular attention to the “Subtle bridge builders”. Men obviously need to do their part too, but you can only control your part. Put your your uniquely feminine cultural conditioning to work for you and do your part to bridge the gender communication divide. Her way: she tends to ask a lot of questions before beginning to work His way: he simply rolls up his sleeves and digs in The result: men assume that if women were up to the job, they wouldn’t need to ask a lot of questions; women assume men hate to ask for help or directions The subtle bridge builder: it’s a good idea for women managers to oversee men’s work in the early phases and/or offer help without being asked. Her way: she frequently uses anecdotes about home or relationships His way: he relies on metaphors about sports and war The result: women don’t identify with the “full court press” image and men are uncomfortable with personal stories The subtle bridge builder: don’t simply gender-reverse images to communicate. Consider “his way” and use gender-neutral images (nature, movies or weather maybe). Whatever images you use, briefly explain what you mean by them. His way: growing up, he got used to vying for leadership and dominance Her way: growing up, she got used to building nurturing relationships The result: men and women impose authority and exercise power differently The subtle bridge builder: neither the ham-fisted image of men or the lack of confidence perceived in women is accurate. Borrow a bit from the man’s style by taking over more often. His way: he cuts to the chase Her way: she likes stories about trial and error The result: both become too impatient to hear the other The subtle bridge builder: women push for details generally to show concern, to vicariously participate in an experience or to verify assumptions. Men tend to gather details just long enough to get the big picture, then dump them as trivial. Women should try getting to the bottom line more quickly. 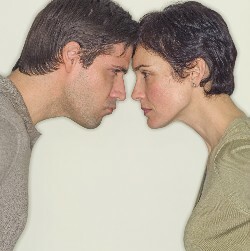 His way: he responds to women associates like a wife or girlfriend Her way: she treats male colleagues like her husband or boyfriend The result: struggles in business become like fights at home, such as who’s right and who’s wrong, especially about money The subtle bridge builder: if you find yourself in a standoff, take a break and think it through. Make sure you’re not importing a personal issue into the business environment. His way: he dwells on facts and skips the feelings Her way: she talks through her feelings about the facts The result: a dialed up antagonism about feelings in general The subtle bridge builder: try and dial down the emotional intensity by analyzing the problem and saying something like “I think there are three parts to this issue we’ve been discussing. Then tick them off, one by one. It’s a moment of analytic reflection that moves the dialogue into a more thoughtful channel. Ms. Krotz states that: “There’s no such thing as an absolute male or an absolute female. People are individuals first and collections of cultural and biological traits after that”. That pretty much sums up the cause of the gender communications divide at work and the reasons for most misperceptions. Using the “subtle bridge builders” will shrink a lot of those gender communication gaps. This is all pretty heady stuff. But, I’m a great believer that a little humor can be a great tension reliever - especially when used to minimize the gender communication divide – and a good laugh can clear the air. However, if the timing is at all questionable, don’t use it! It might only make gender communication gaps worse.